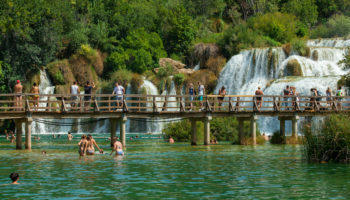 Just off the coast of Croatia, you will find a stunning array of beautiful islands, each offering its own unique array of attractions and sights. There are over a thousand Croatian islands varying in size from small rocks in the sea to Cres island, which is the 20st largest island in the Mediterranean. An overview of Croatia’s most sought-after islands. 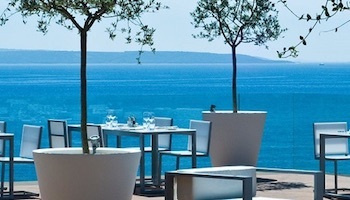 Often referred to as the ‘golden island,’ Krk is the nearest of the Croatian islands to Western Europe. It is actually connected to the mainland via a bridge, making it easily accessible. Visitors to Krk will find that this delightful island boasts a wide array of landscapes. While the northern end of the island is almost barren, the southern tip of the island offers gentle bays. In the inland area, rocky hills and fertile fields provide the ideal backdrop for cultivating grapes. Popular activities on Krk include scuba diving, jet skiing, waterskiing, and paragliding. 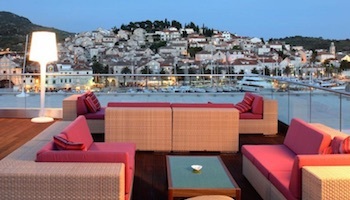 The island of Rab is situated just off the northern coast of Croatia. One of the most densely wooded of the Croatian islands; Rab is home to a wide array of botanical life, including non-native plants. Among the most popular attractions on Rab is Komrcar Park, home to numerous plants and trees, including a 100-year old agave. 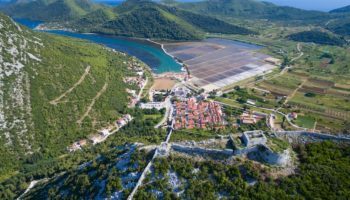 Due to the presence of more than 300 freshwater springs on the island, Rab is one of the greenest islands in the Adriatic Sea. The warm summers and mild winters make Rab an excellent place to visit any time of the year. 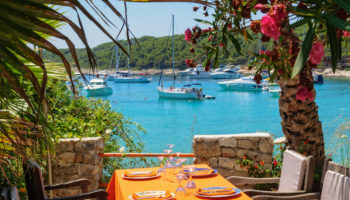 Comprised of approximately 130 islands, reefs, and islets, the Kornati Islands are sprinkled with a breathtaking array of vineyards, olive trees, and fig trees. Mediterranean scrubs and rare trees complete a landscape set against chalk limestone. Tourist can take a stroll along the meandering pathways to enjoy a view of the open sea from one of the massive cliffs rising up from these islands. Human presence on the Kornati islands dates back to the Neolithic Age, but due to deforestation and subsequent erosion the islands are now uninhabited. If you are looking to get back to the basics and enjoy simple beauty of island life, the Kornati Islands are a great option. With the longest coastline of the Croatian island, Pag has plenty of bays, coves, capes and beaches. Much of the island features a rocky topography; however, visitors will find verdant fields and valleys that are ideal for winegrowing and cultivating olives. Zrce Beach, near the town of Novalja, is a popular with both locals as well as tourists. Visitors who are feeling adventurous and wish to experience the great outdoors in Pag will find that there are numerous camping locations, many that are located in small bays or right along the sea. A host of small towns on Pag provides ample dining and accommodation options. Mljet is Croatia’s greenest island, with large parts of the island covered by forests and the rest dotted by fields, vineyards and small villages. The island contains two salt lakes, Veliko and Malo Jezero, that are located at the western end of the island. In the middle of Veliko Jezero, there is a small island with an old Benedictine monastery. One of the largest islands in the Adriatic Sea, the hilly island of Cres features a spectacular array of pebbly beaches and bays. Among the most notable attractions in Cres is the freshwater lake of Vrana. This unique natural phenomenon is actually one of the deepest freshwater lakes in Eastern Europe. 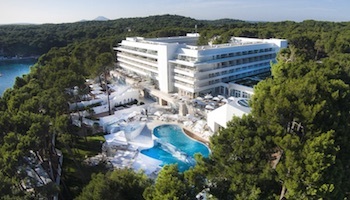 Watersports, scuba diving, and hiking are all popular activities on Cres. The large island of Brac is situated just of the Split coast. 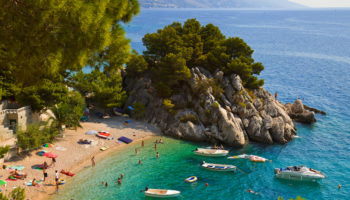 With its rolling hills, isolated bays, clear water, and pine and fig trees, Brac is a popular tourist destination. Visitors will find there are many sights to enjoy on Brad, including Dragon’s cave on the southern end of the island, the island museum in the village of Škrip, and the famous Zlatni Rat beach near Bol. Vidova Gora Mountain, the tallest mountain in the area, is also definitely worth a visit. Popular activities on Brac include windsurfing, kite surfing, diving, and visiting the numerous private coves and pebble beaches. Separated from the mainland by a narrow strait, Korcula is the most populated of all the islands in Croatia. 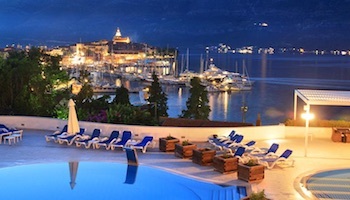 The island’s capital is also called Korcula. Nicknamed”Little Dubrovnik”, this ancient city is among the most beautiful towns on the Croatian coast and is known for its unique architecture. One of the main attractions is the alleged house of birth of Marco Polo. The most beautiful building of Korcula is the Cathedral of St. Marco, built in Gothic-Renaissance style and completed in the 15th century. The beautiful but remote island of Vis is known for its long history of winegrowing, making it a must-see for wine connoisseurs. Vis isolation has retained the charm and style of life characteristic of the 1950s and attracts tourists looking for “the Mediterranean as it once was”. The beautiful crystal clear waters, breathtaking isolated beaches, and historical sights on Vis are certain to delight visitors. Nature lovers will love the well-preserved nature and ecological attractions of this island. 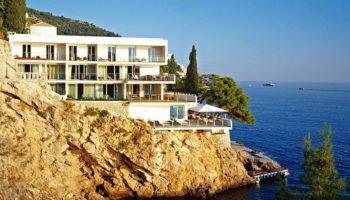 The gently rolling hills, spectacular beaches, lush vineyards, and vibrant nightlife of Hvar make it the perfect island getaway. Take a stroll down the medieval streets of this lovely island and you will encounter imposing fortifications that testify to the island’s ancient history. Hvar Town may be the most stunning town on the island but Starigrad, the oldest village on the island, and Jelsa, as well as a number of small villages, dotting the coast or nestled in the lush interior are well worth a visit. If you’re looking for adventure, consider taking a water taxi to the Pakleni archipelago near Hvar Town or take a walk to the southern cliffs for a lunch at the local winery. Which islands in Croatia do you consider to be the most beautiful? Yes, Prizba is definitely beautiful. We were there last year in the Apartments Sunnyside. We were enjoying in a stunning scenery and a comfortable apartment. No 9 is again photo of island Krk, the same settlement Baška as in No 10, just the different angle.. Rab has a very remarkable panorama of four church bell towers.